The suspenseful sequel to Mining Sacred Ground, Poisoned by God’s Flesh, A Peter Romero Mystery, will have you on the edge of your seat. Peter Romero’s story continues in Poisoned by God’s Flesh, where the killing of a young girl leads Romero on a twisted trail to confront gun-slinging hijackers of a nuclear weapons transporter. Romero struggles to thwart them in New Mexico’s unnamed, red-robed canyons even though he expects to die in the attempt. His calling pits his spirituality against avarice so dark he doesn’t know whether to feel vindicated or disillusioned. 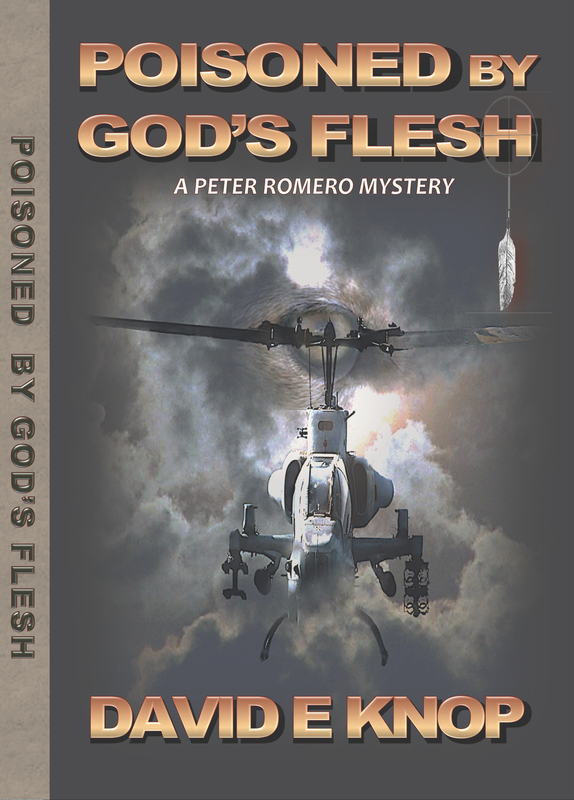 Poisoned by God’s Flesh, A Peter Romero Mystery, is available on Amazon.com, Barnes & Noble.com, and iTunes.